AESSEAL INC North American Headquarters is located in Rockford, Tennessee. This 36,000 square foot facility is set on 12 acres in the Stock Creek Development Center, just south of Knoxville. The building is in a campus setting with other manufacturing businesses located on a lake that feeds in to the Tennessee River. This site was renovated to match the exacting standards found in the group headquarters of AESSEAL in Rotherham, UK. The location in Rockford, TN has the following capabilities: Stockholding, Manufacturing, Assembly and Repair of mechanical seals, and Assembly of Seal Support Systems. In addition, Rockford is home to the AESSEAL INC Customer Service team and our after hours on call service for building new seals. 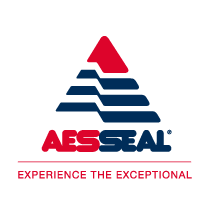 At AESSEAL INC, servicing our customers continues to be our focus. Therefore, we often invite customers onsite to tour our facility and view our capabilities, first hand. We also host customer training sessions at our Rockford, TN location, to demonstrate our expertise in the industry to users and distributors of our product.